Blogging is a vast field. To make your mark in this ever-growing field you need a blogging theme that not only makes your work pertaining to handling blog easy but also entice people into exploring it. This premium blog WordPress theme will do this and many more things for you to make you stand apart from the rest of the bloggers. This theme can be used for all types of blogging be it food blog, fashion and lifestyle blog, tech blog, photography blog, informative blog, travel blog and the list never ends. Use this theme for better SEO results and faster page loading. This premium blogging theme has exclusive features to make it perform various functionalities. 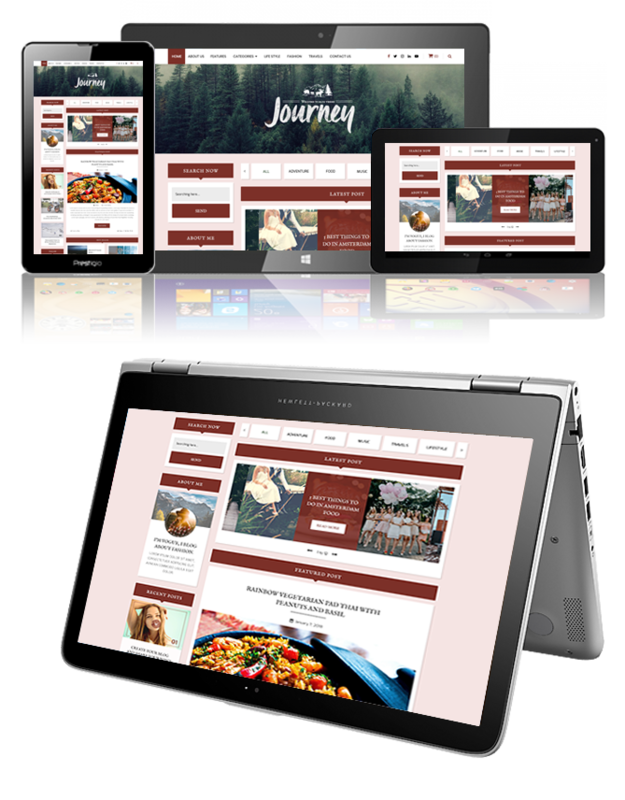 This responsive theme is also cross-browser compatible and translation ready. It being highly customizable allows you to change its header, footer, logo, background, colour etc. with utmost ease. It has various sections like testimonial section, gallery, subscription area, latest posts, about me and popular posts to accommodate your content in an organised way. With multiple predesigned blog and template layouts, unlimited colours and font styles, try a variety of combinations to give your site a personalized look. This premium blogging WordPress theme has banners, full-width as well as boxed layout and sidebars to add various things at different places of the site.